Brushed your pet's teeth lately? Can you imagine what your teeth would be like if you hadn't brushed them for a year or more? Talk about a bad taste in your mouth! Well, our pets can't brush their teeth so this is what they experience. 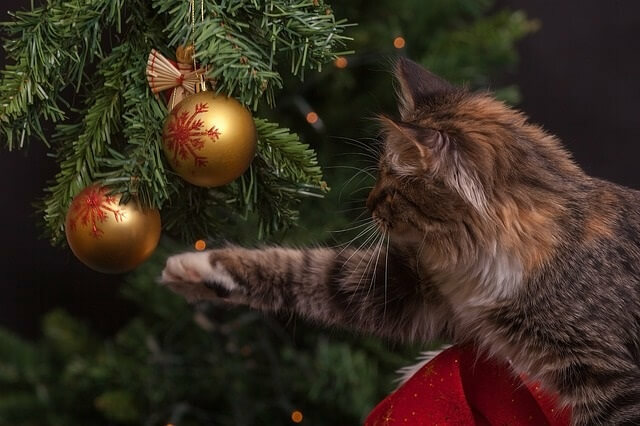 As a responsible pet owner we owe it to our pets to take good care of them: we feed them the right foods, exercise with them regularly, practice good preventative care by taking them to your pet's vet at least once and preferably twice a year for well care visits, but do you remember to do something daily for your pet's teeth? February is National Pet Dental Health Month and a great reminder that dental health is more than just teeth; your pet's oral hygiene affects the entire well being of your pet. Diseases of the mouth can often be painful and can contribute to additional health problems. Having regular dental checkups and having your pet's teeth cleaned are important to ensuring a positive quality of life. So flip those lips, smell that breath… at Animal Health Care we're all for gentle dental health! According to the American Veterinary Dental Society (AVDS) 80% of dogs and 70% of cats show signs of dental disease by age three, often indicated by halitosis (bad breath), changes in eating habits, pawing at the face and mouth, bleeding gums and even aggression likely due to a painful mouth! Periodontal disease which occurs under the gum line -away from even the most diligent pet owner's eyes- is the most under- treated animal health problem. Don't skimp on regular preventative dental care. When you pet's vet teaches you about preventative dental care in the exam room with recommendation for brushing, chewing aids, dental foods, rinsing and/or water additives, it's because we want to start preventative dental care at an early age. If we start good dental habits with our pets early we can often avoid costly intervention for dental infections and other problems such as broken teeth, gum abscesses, cavities, and pain which will add considerably to the diagnostics and management costs of dental disease. Dental disease starts when plaque inflames the gum line which is called gingivitis and is reversible with daily home dental care and regular dental cleanings performed in your veterinary health care hospital. If your pet has reddened or bleeding gums, this condition is defined as gingivitis. Gingivitis, when allowed to remain, progresses into periodontitis or inflammation of the tissues around the teeth. If left untreated periodontal disease progresses into a painful mouth, with tooth loss and potential involvement of other important organs such as the heart and kidneys. Commonly, physical signs of dental disease are not obvious, even when it is advanced. That's why it is so important to have your pet's teeth checked regularly by your veterinary health care team. Your veterinary team is highly trained and a great resource for helping you provide preventative dental care for your pet. With regular dental checkups you can start your pet's preventative dental care correctly. AAHA, the American Animal Hospital Asssociation of which ahc marlboro is a member recommends that you talk with your pet's vet about how often "regular" refers to and develop a dental plan specific to your pet and what you can do for your pet based on individual unique life stage circumstances. It's far easier to start a puppy or kitten on the road to lifetime dental health than to start in an affected, infected mouth where the pet is so painful that no one can get near the mouth without harm of being bitten. This stage is well past the point of home dental care but can be managed and potentially returned to good daily dental care with the right products and advice fro your pet's dental team. It's often asked, who should clean my pet's teeth? And the answer is similar to when you go to your dentist. A trained veterinary nurse or the veterinarian will clean your pet's teeth just like your hygienist cleans human teeth. The veterinarian is however responsible for examining your pet's teeth, mouth, and other accompanying structures like the lymph nodes, area under the tongue, and bone structure of the jaw and surrounding soft tissues. Only a veterinarian should extract teeth and perform other dental procedures such as gum surgery on your pet. In some cases you may be recommended to a board certified veterinary dental specialist for procedures such as root canals, other endodontic, periodontic, or orthodontic needs found at this dental examination and evaluation. A groomer may brush your pet's teeth saving you the daily brushing for that day, but neither your groomer nor anyone other than your veterinarian should clean your pet's teeth. People who are not trained in proper dental care generally scrape off or remove the large chunks of tartar that they can see. This "procedure" can lead to damaged enamel of the tooth surface, may promote accelerated dental disease and does not address the main problem of dental diseases -the tissues surrounding the tooth. If you're not convinced next time ask your groomer how many teeth your pet has. Probably you'll find that they don't even know this important anatomical fact! Such "cleanings" may give you a false sense of security that your pet's teeth are being treated when they really are not. In addition to professional dental care, pet owners can make oral home care part of their pet's routine as a way to protecting dental health and preventing tooth decay. Learn to brush your pet's teeth. 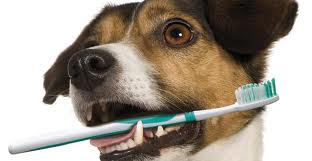 As your veterinary health care team we can teach you safe and effective safe ways to brush your pet's teeth. After all we don't want you to be bitten trying to do something good for your pet. Although daily tooth brushing is the "gold standard" only 2% of pet owners follow though. It's best to start early but even adult dogs, cats, and ferrets can learn to accept daily brushing. Use of specially-formulated enzymatic tooth pastes are used as human toothpastes are meant to be spit out and have ingredients that are upsetting to the stomach of pets when swallowed. Feed a high quality diet. Ask your pet's vet about foods and treats with proven dental health benefits in plaque and tartar control. The American Animal Hospital Association (AAHA) created the AAHA Dental Care Guidelines to help veterinarians and their teams provide excellent dental care for dogs and cats and to educate pet owners about the importance of proper dental care throughout their pet's lives. Go to www.healthypet.com for more information on dental care for your pet and the AAHA Pet Dental Health guidelines. 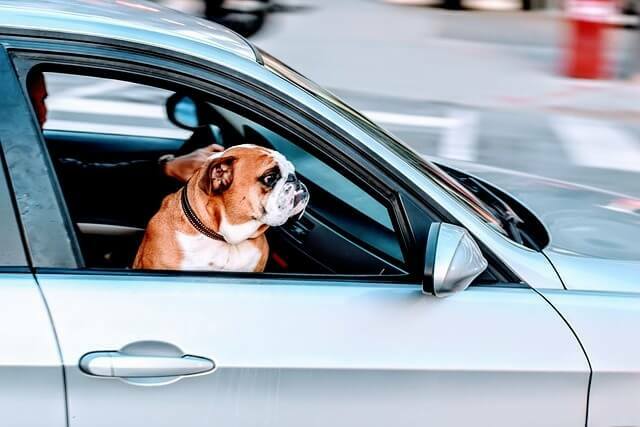 Much of the information in this blog originally appeared in PetsMatter January/February 2011, published by the American Animal Hospital Association, to whom we give credit. At Animal Health Care of Marlboro, we celebrate pet dental health every month. During February all pets get a FREE dental assessment and a FREE sample bag of T/D dental diet snack pack. We look at your pet's teeth, use a blue light on the teeth to highlight problem areas (they show up as hot pink) and we'll get you and your pet started on the best dental care routine for you and them! So schedule your pet's dental health exam today and here's to gentle dental health!! !